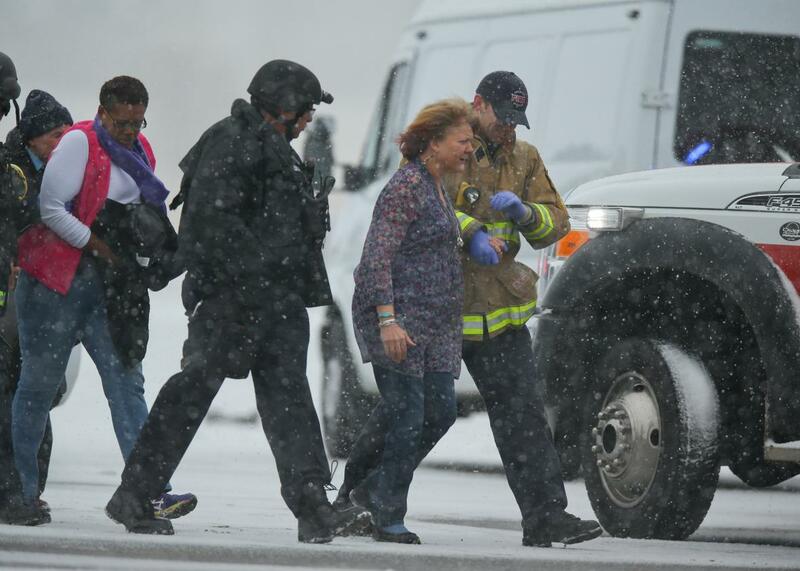 Colorado Planned Parenthood shooting: Three people killed, nine injured. A suspect is led away in handcuffs by police during an active shooter situation outside a Planned Parenthood facility on November 27, 2015 in Colorado Springs, Colorado. 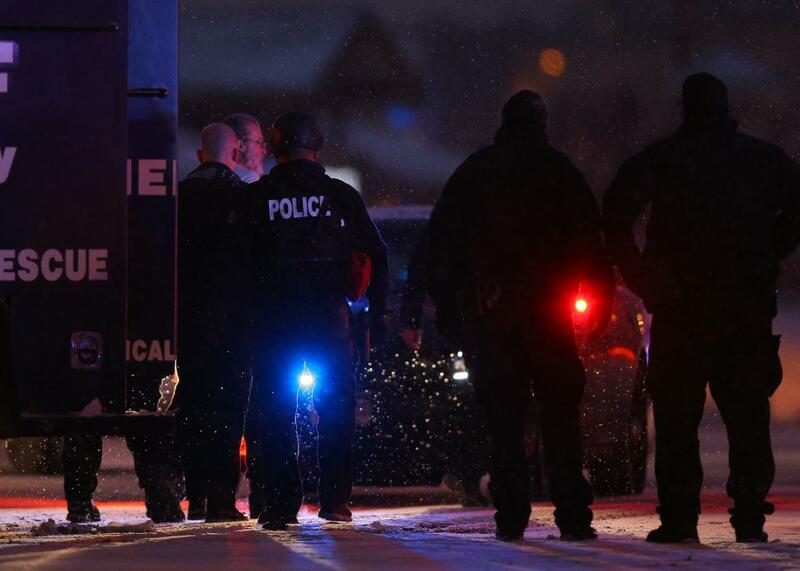 UPDATE: After a five-hour standoff, police arrested a gunman who opened fire inside a Colorado Springs Planned Parenthood clinic in an attack that left three people dead and injured nine others. The dead included one police officer for the University of Colorado at Colorado Springs who joined the city police in responding to the first reports of shots fired. The nine people who were injured with gunshot wounds, including five police officers, are all in good condition. Planned Parenthood has strong security measures in place, works closely with law enforcement agencies, and has a very strong safety record. We don’t yet know the full circumstances and motives behind this criminal action, and we don’t yet know if Planned Parenthood was in fact the target of this attack. We share the concerns of many Americans that extremists are creating a poisonous environment that feeds domestic terrorism in this country. We will never back away from providing care in a safe, supportive environment that millions of people rely on and trust. The Colorado Springs Planned Parenthood clinic seems to have been particularly sensitive to safety issues as it had been a target of repeated protests in the past. It had recently moved to a new location that critics said was a “fortress,” notes Reuters. Two months ago, the FBI warned reproductive health providers were likely to see an increase in attacks amid a heated debate in Washington and across the country about funding for Planned Parenthood, reports CBS News. The shooting in Colorado comes at a time when there has been an increase in violence against women’s health clinics and abortion providers. It’s hardly a coincidence that this spike in violence has coincided with an increase in legislative rhetoric by politicians against abortion and abortion providers, David S. Cohen and Krysten Connon wrote in Slate earlier this year. NARAL Pro-Choice America has called on the media to begin reporting attacks against abortion providers as domestic terrorism, noted Nora Caplan-Bricker last month. Hostages are escorted to safety during an active shooter situation outside a Planned Parenthood facility on November 27, 2015 in Colorado Springs, Colorado. Police engaged with the shooter inside the Planned Parenthood health center and are receiving gunfire. Buckley did not discard the possibility of hostages. “There is that possibility,” Buckley said. “There are a lot of possibilities with this scenario.” The gunman, however, does not appear to have made any demands. “We do not know about this person’s mentality or ideology,” Buckley added. Planned Parenthood has not said whether the shooting began inside its health center but police say that’s where the initial call to police came from. The manager at a nearby hair salon told the Associated Press that she heard as many as 20 shots in a span of less than five minutes.